I’ve never really been one to go into things half assed. When I started brewing I probably did three or four steeped grain/extract batches before building a mash tun to brew all-grain. The one step in the progression that I skipped over was partial mash/BIAB. Recently I was lamenting my inability to brew as often as I would like. Sitting in my office at work a thought came to me: When I was brewing extract batches, the start to finish time was probably two hours max (excluding cleanup this was prior to discovering fermcap-s). With all grain brewing I can maybe knock out a brew day in four hours, and that isn’t including clean up time. 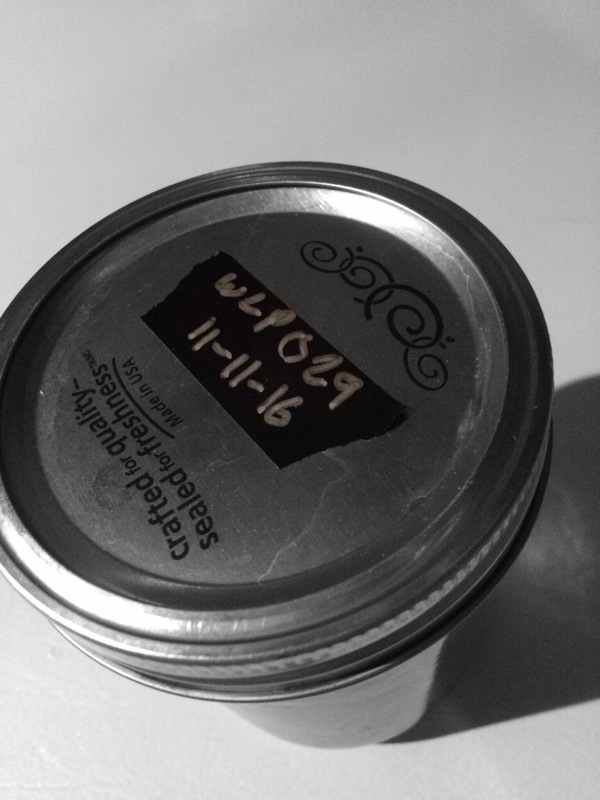 I was faced with a conundrum, how could I brew more often, without adding time to my life? After browsing my LHBS I found a couple cheap three gallon carboys, i figured I would do an extract brew here or there in my old brewing stockpot and clock it in at 2.5 gallons. After two such brews (a mild and an English brown, neither will appear on this site), I remembered why I moved from extract to all grain. Chatting with some workers at my LHBS I remembered that BIAB was a thing! I pulled out my phone and calculated the water required to brew a 2.5 gallon batch in the mash, about 1-1.5 gallons for a 1.040-1.070 beer. This could work! 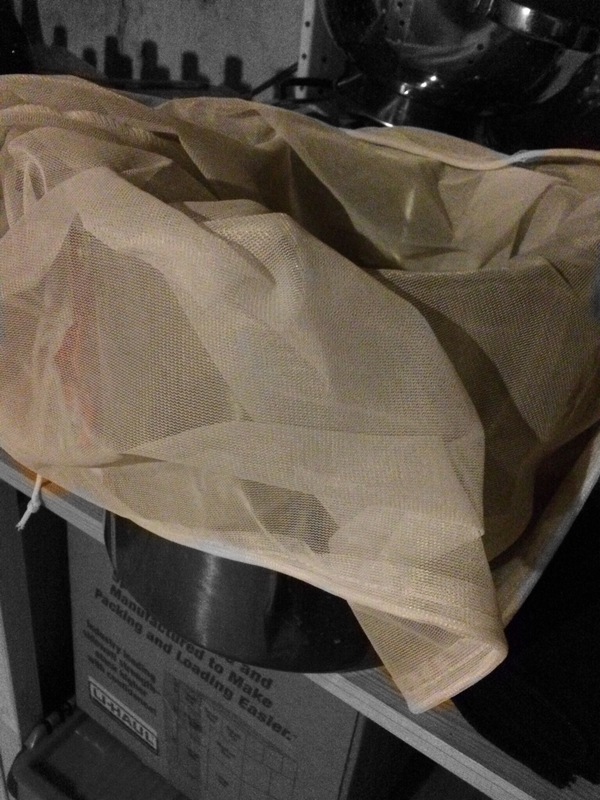 I purchased a mesh bag that would fit in my 22 quart original brew kettle, and some ingredients for a beer I had actually been meaning to try for a while, a helles recipe. In the excitement to brew this beer I didn’t really take many pictures. I mashed in, hit 5.2 ph, sparged by dunking the grains in the sparge water for 10 min, then boiled for 60 min adding the necessary hops. After the brew I chilled the 2.5 gallon wort in a record four minutes. This is where I messed up this brew, I attribute this to my lack of familiarity with my specific BIAB setup at this point. I took gravity for the first time post chilling only to find I had overshoot the expected gravity of 1.048 by reaching 1.064 yikes! If only I had taken the gravity at sparge I could have increased volume to compensate. Oh well, I transferred the beer to a carboy, oxygenated, and pitched the appropriate amount of WLP029 from a premade starter. 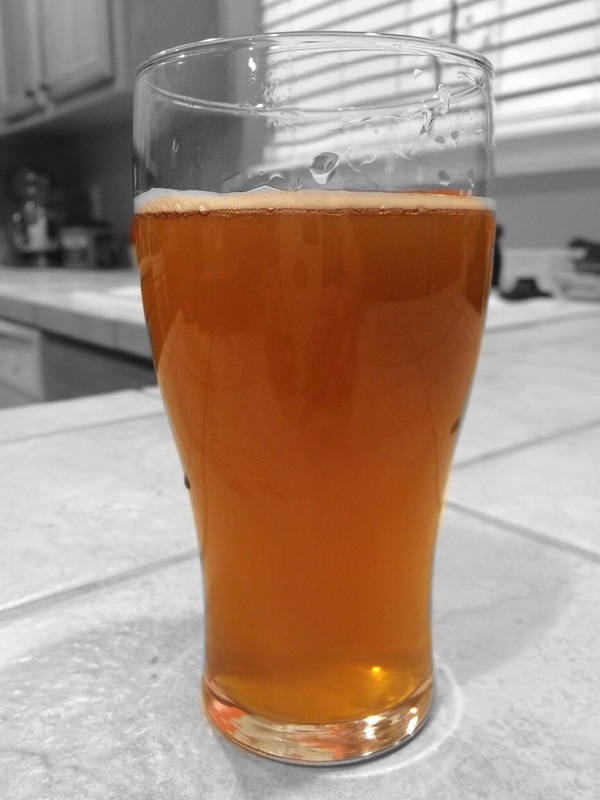 The beer fermented at 62 for two weeks and was bottled at 1.012 FG. I’ve tasted this beer a handful of times now and am quite pleased with it. It is certainly not a helles, but also not quite a maibock. Regardless of how the beer ended up I learned a lot about my BIAB system which will be valuable going forward. My next brew in BIAB will be a California Common recipe that I’m looking to perfect for competition this spring. 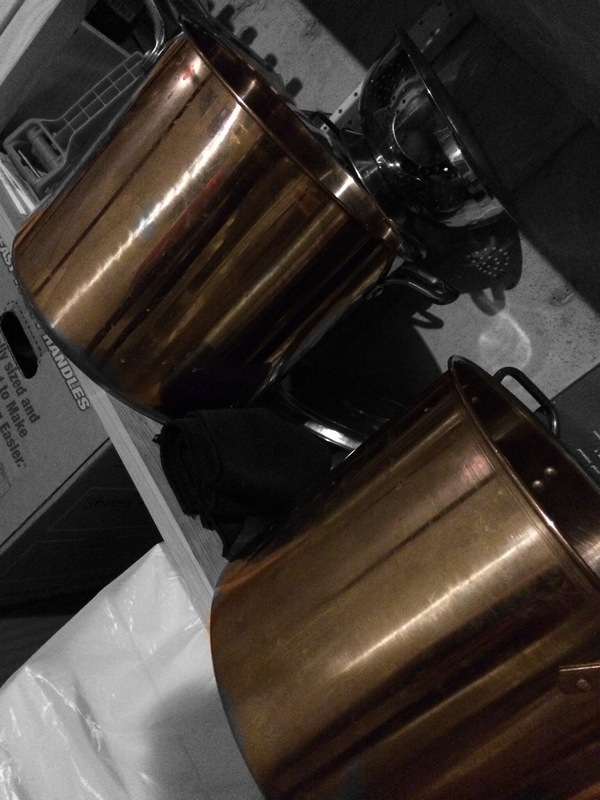 Results of that brew day will include more pictures than this post, sorry! I’m very confident that I’ve found a new way to increase the number of my brew days without sacrificing as much family time as a normal brew day. The whole BIAB day took me 2.5 hours and most of that time I was able to do other things around the house. While I certainly need to dial in my BIAB efficiency, I will be brewing many more BIAB test batches to hone in recipes for competition. You can always dilute with distilled water post-boil if you overshoot efficiency. True, I’m still learning the nuances of small batch brewing. The boil off rate is higher than my normal system. Great write up. I love the greyscale pictures with the featured image colored. I am going to have to sit down with my phone and figure out how to do that! Ha! I forgot I was overusing that app a while back and totally stopped as compensation. I believe it’s called effects studio on my iPhone. Thanks for the reminder I’ll add a pic or two like that to an upcoming post. That small batch pic is one of my favorites. Cheers! You can make a gauge to check the level in your kettle while boiling, thus not have to top off. 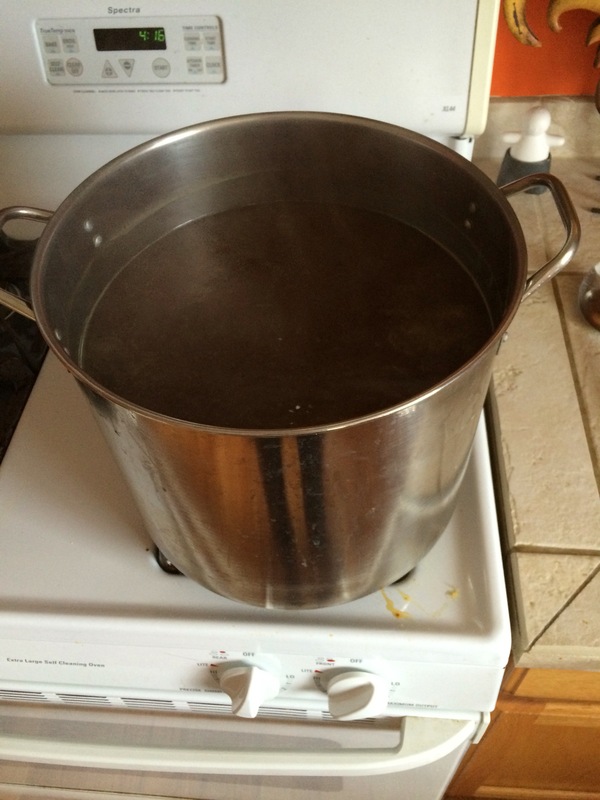 Also while gauging the boil you can reduce or increase heat as needed.